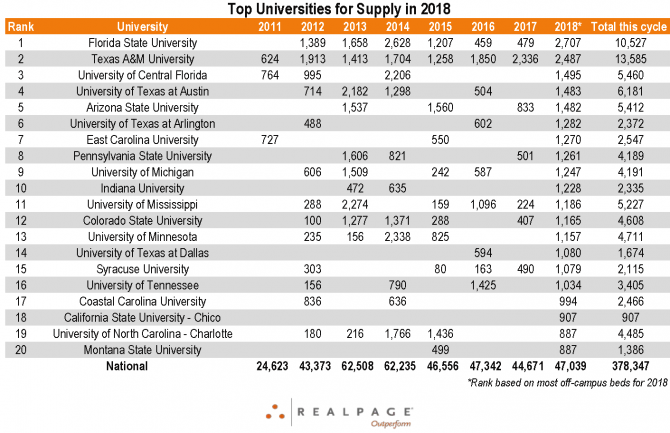 Of the top universities for off-campus student housing supply this fall, Texas A&M and Florida State remain a level above the rest, further cementing their place as development leaders throughout the current cycle. Total off-campus beds targeted for fall 2018 delivery top 2,400 at both A&M and FSU. By comparison, of the 13 other universities with more than 1,000 new off-campus beds under construction, none have scheduled supply of more than 1,500 beds. In all, A&M and FSU account for 11% of total U.S. student housing supply being delivered this fall. Both universities have experienced aggressive development this cycle, totaling nearly 19,000 beds between them, with an additional 5,200 scheduled to deliver by August 2018. Though both A&M and FSU have seen similar levels of development, how each market has handled the large supply loads has differed. Texas A&M has seen rapid enrollment growth, especially over the past few years, growing by a total of 12,700 students since 2011. On- and off-campus inventory grew by 16,500 beds over the same time period. This supply began to impact leasing velocity for older properties located furthest from campus in 2016, but rent growth remained positive for these properties and collectively for the market. Last fall, inventory grew nearly 17%, with 3,200 beds privately owned on-campus beds, another 2,300 off-campus beds and several hundred university-owned beds developed. Into the 2017 leasing season, properties began dropping rents to help leasing velocity. Those located furthest from campus continued to see the biggest impact in terms of decline in year-over-year performance. Properties located less than a half mile from campus were able to keep leasing velocity in line with the prior year after dropping rents. With off-campus inventory expected to grow by another 6% with this year’s deliveries, the market continues to struggle to absorb the new supply. As of March, leasing velocity is slightly ahead of last year by 188 basis points, averaging 51.2% leased. To achieve that velocity, however, properties have dropped rents an average of 6.7%. Leasing velocity has picked up for properties located closest to campus. Properties located less than a half-mile from campus were averaging 65% leased, up 8.8% from last year. At the same time, properties located closest to campus are seeing the largest decline in rents, with them down nearly 8% from last fall. This is primarily because these properties are competing directly with the new supply and more than half are priced at the top of the market. Properties located between a half-mile and a mile from campus are seeing rents drop the least (-4.3%), but ultimately have a longer ways to go to achieve optimal occupancy with prelease only at 26% on average. 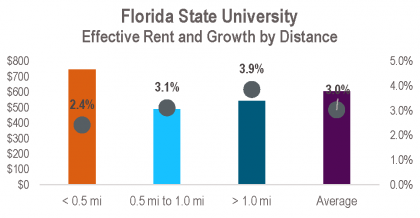 And those located furthest from campus are faring better in terms of rent growth relative to properties located less than a half-mile and in terms of prelease relative to properties located between a half-mile and a mile. And in spite of the rapid enrollment growth and lower rents, there still has not been enough demand at the market level to absorb the amount of supply delivered over the past few years. Enrollment growth for Florida State has been relatively flat, growing by only 1,000 students from 2011 to 2017. On- and off-campus inventory has grown by a much higher amount over the same time period, with 8,400 beds added. The university is expected to have inventory grow another 9% with the supply coming online this fall. The impact of this supply has come in phases, and the market appears to be in the early stages of a supply-induced slowdown again. As of March 2018, prelease averaged 60.5% overall, down 430 basis points from last March. Surprisingly, rents have no taken a hit yet, with rent growth holding strong at 3.0%. This is in part because there are variety of price points available with existing housing, more than most markets. Properties located between a half-mile and one mile from campus were actually seeing an increase in leasing velocity by 600 basis points and rent growth of 3.1%. However, they have the lowest average effective rent, at $489 per bed. Properties located furthest from campus are seeing leasing velocity slow even more year-over-year and a deceleration in rent growth. With over 80% of total enrollment accounted for by existing supply, coupled with over 2,500 beds in the pipeline for fall 2019 and minimal enrollment growth expected, the impact will become more visible as we finish out this leasing season and move into the next. 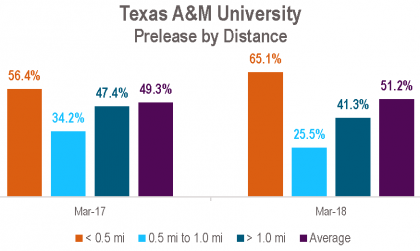 Similar to Texas A&M, many of the universities expecting the most supply the fall have seen enrollment growth in the current cycle outpace their long-term average. However, for 70% of these universities, existing stock accounts for less than 50% of total enrollment. At the University of Central Florida, consistent growth coupled with solid performance for off-campus student housing properties has attracted new development. As of March, properties averaged 85% leased, up nearly 11% from last March. In addition, annual effective rent growth is averaging the highest among the group at 5.2%. The University of Minnesota struggled to absorb new supply in 2014 and 2015 because of the volume delivered over a short amount of time – more than 50% of the supply in the market was delivered between 2012 and 2015. However, the market is currently performing well. Properties are averaging $800 per bed, up 3.4% from last fall. In addition, properties were averaging 67% leased in March, up 616 basis points from last year. And not all of these universities are handling new supply in the same capacity. Several are even illustrating conditions that may indicate an issue with demand, at least in the near term. At the University of Mississippi, rents have declined by 3.7% and leasing velocity is down by 17.5% compared to last March, with properties averaging 35.2% leased. This is an even further deceleration since February. Properties located between a half-mile and one mile from campus are seeing the biggest impact on rents, which are down 6.2%. Properties located more than a mile from campus are surprisingly seeing flat growth, but leasing velocity is down the most for these properties – from 65% leased in March 2017 to 39% leased in March 2018. 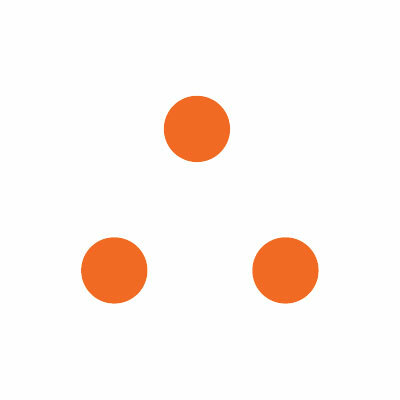 Syracuse University, on average, is seeing rents drop considerably (-11.6%) in order to fill beds. As of March, prelease averaged 52%, up 11% from last March. There are several factors that play into this. The market has had to adjust to an unseen volume of supply from 2012 to 2017 – 82% of existing off-campus beds were delivered during that time. The amount of new beds coming online this fall is more than the total supply seen already in this cycle. 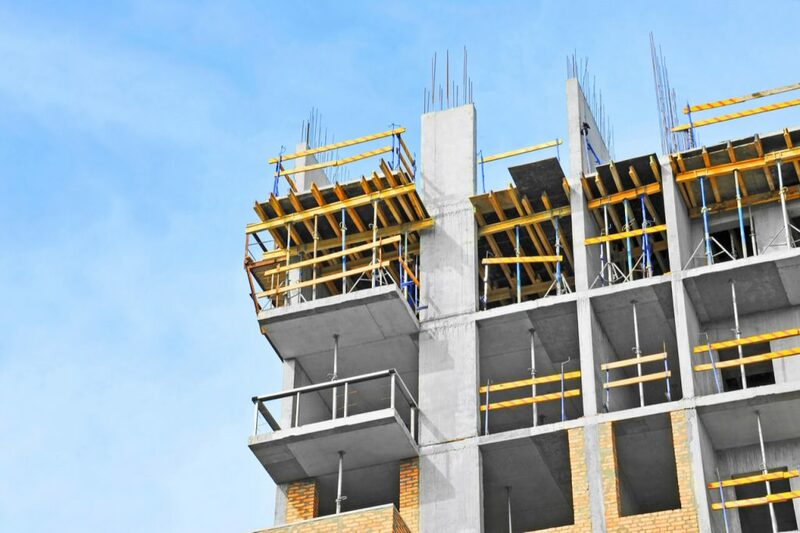 The relatively small existing stock and steady enrollment growth has continue to attract developers this cycle. However, the university has a sophomore living requirement, so the demand pool is already limited to only juniors and seniors. For many of these universities, as development activity moderates and enrollment growth is sustained, supply and demand will become more in balance.